Cogeco Peer 1 is to become a standalone managed hosting, cloud and colocation provider after Canadian parent and telco Cogeco Communications sold it to global investment firm Digital Colony for US$720m. The new owners have pledged to keep the existing management team in place, while leasing portions of Cogeco Communications’ fibre optic network for data centre interconnection in Canada. Cogeco Peer 1 will remain headquartered in Toronto and will adopt a new brand. Its portfolio includes over 3,300 route kilometres of dense metro fibre in greater Toronto and Montreal. The company also owns and operates several data centres across North America and Europe which serve a global blue-chip customer base. As a standalone business, Cogeco Peer 1 will have a fibre division and a data centre division in order to focus on meeting the needs of customers in each market, it said. 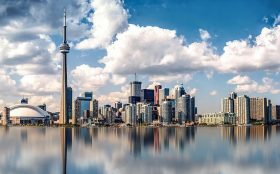 The firm’s data centre division will concentrate on enabling multi-cloud services for enterprises, while “reinforcing its role as a leading hybrid-solutions managed service provider”, Cogeco Peer 1 said. The transaction is expected to close during the second quarter of 2019.